What an exciting week! After an anonymous vote from all our jury members, we ended up with three designers for the 2014 i.materialise Designer of the Year Award. The first nominee we would like to introduce to you is Adrian Gögl, a young Swiss industrial designer with an innovative 3D Printing project called “Oak & Dust”. 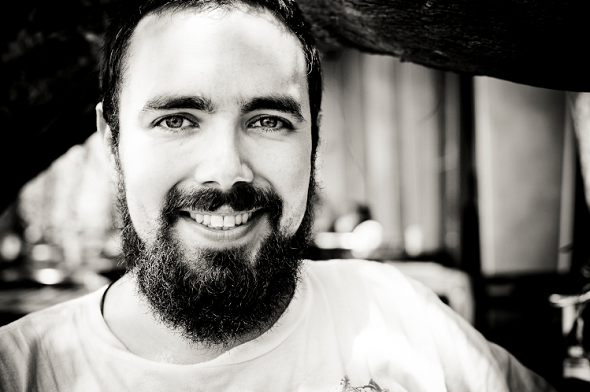 Adrian already inspired us when we talked about his Oak & Dust project on our blog in November 2014. 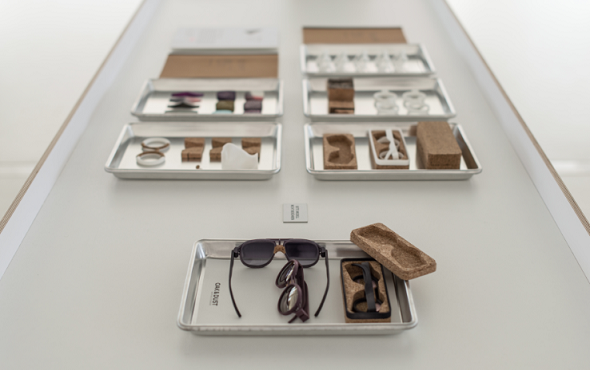 He started designing a few years ago and dedicated his Bachelor’s degree in industrial design to bespoke eyewear. 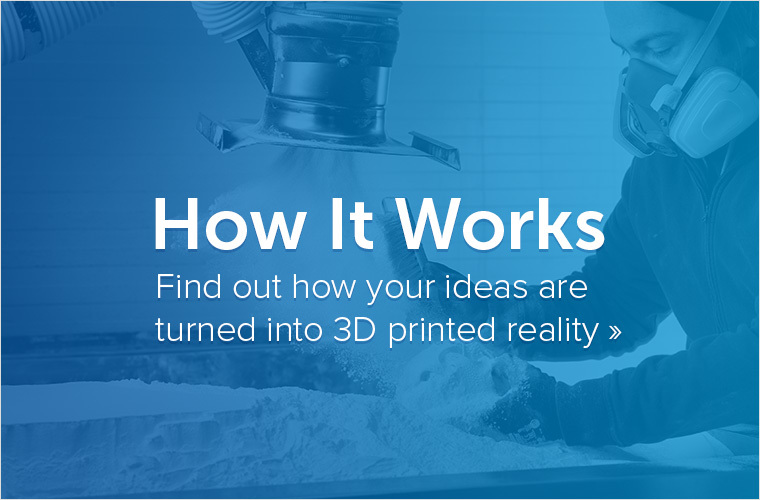 The basic idea behind his concept was to study how evolving 3D Printing methods can be used to influence the design, production and distribution of new products. 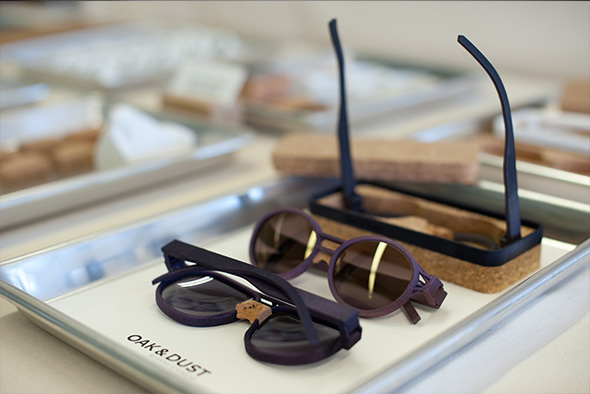 The Oak & Dust project follows a simple approach: the idea that 3D Printing and natural materials (cork) can lead to the creation of better wearable glasses. In order to do so, a customer’s nose is first scanned and a negative model of the nose is milled out of a small piece of cork. 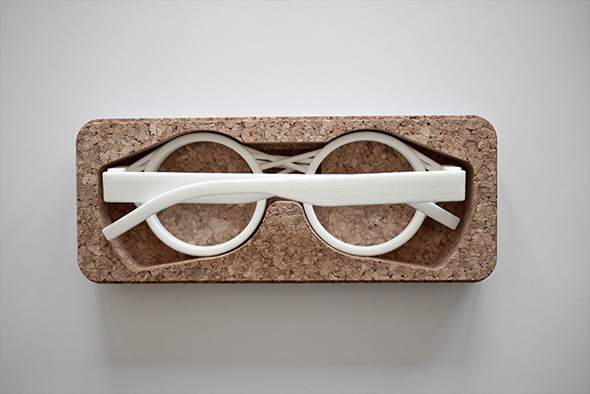 The glasses are then created using 3D Printing to fit perfectly to the customer’s face, with the cork ensuring that the glasses don’t slide down the nose or leave painful pressure marks. Once models for the frames are created, Adrian can then manufac­ture a complementary bespoke case for each frame, which is also milled out of pressed cork. The insulating and flexible properties of the cork are ideal to protect the glasses from scratches, hits and extreme temperatures. The complete process can be seen in the video below. Our jury was especially impressed by Adrian’s creativity and his ability to find new uses for 3D Printing. 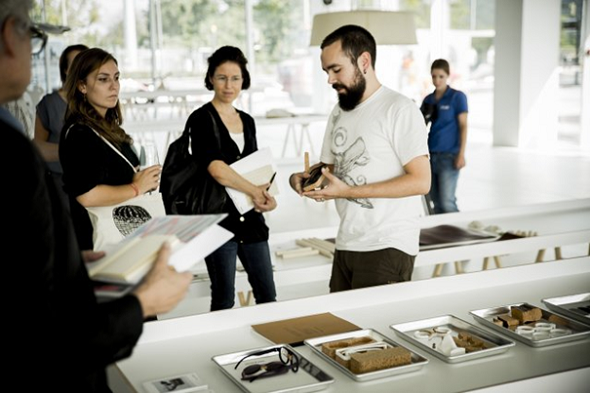 Oak & Dust is not only a beautiful and stylish project, but it centers around every day struggles of consumers and aims to improve a product with the smart use of new technologies. We are therefore proud to announce Adrian as the first nominee for i.materialise’s Designer of the Year Award 2014. In February of last year, I started working on my bachelor thesis to complete my degree in industrial design at the University of Northwestern Switzerland (FHNW). Since I am an optometrist by training, I decided to let my know-how about glasses influence my thesis. 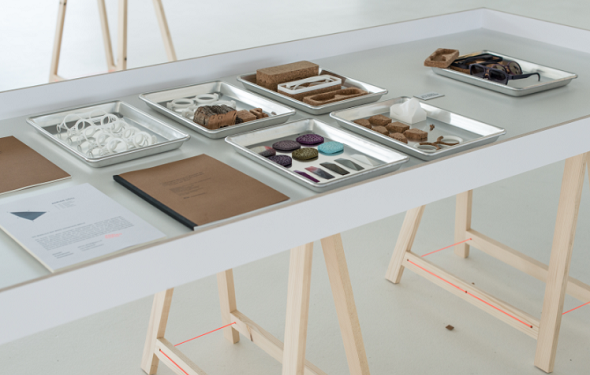 The aim was to investigate how 3D scanning and generative production methods can be used commercially through the consistent application of service design. At first, I wanted to work with a service provider in Austria, but soon realized that although their working operations were quite modern, their approach was completely outdated. 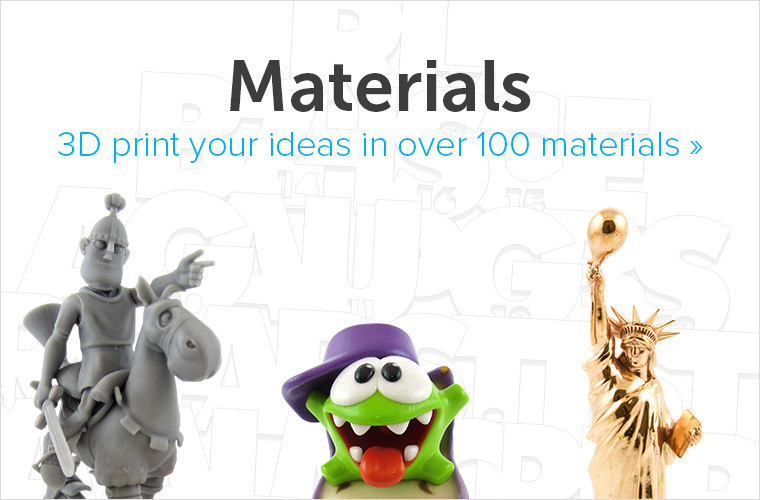 That’s why I started to order my prototypes with i.materialise. Since my schedule was very tight, I ordered the models in polyamide priority and colored the models myself, in order to run through as many experiments and development cycles as possible. i.materialise was always reliable. This was quite reassuring while writing a thesis – typically a time when stress and insecurity often get out of hand. Therefore, I am also working together with i.materialise on my current project. I am very happy that I have been nominated for i.materialise’s Designer of the Year award. It shows that I am on the right track with my ideas and projects. Stay tuned for our announcements of the other two nominees. 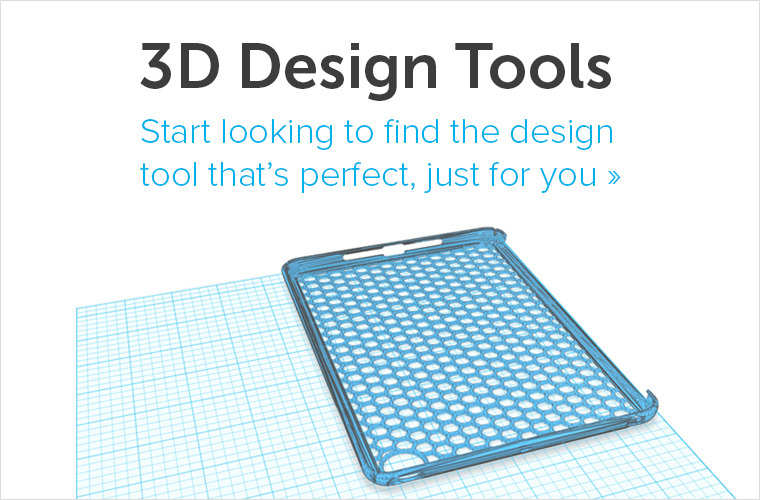 Click here to take a look at our 3D Printed award trophy designed by AmniosyA.